Happy Friday from Melbourne, Australia!! Its cold. Its windy. Big, baggy jumpers are being worn……..LETS DEVOUR CARBS!!! The potato obsession has now led to a pasta obsession. Comforting, warm and delightful. Enjoy this beautiful recipe, not only filled with comfort and taste, but nutrients and all the good stuff too! STEP 1 – Gather your ingredients. Try to opt for organic and locally grown as much as you can. Trips to local farmers markets are lots of fun and you are giving your well-earned to the little guys WHO DESERVE IT! Not the fat cats sitting at the top of the big companies! 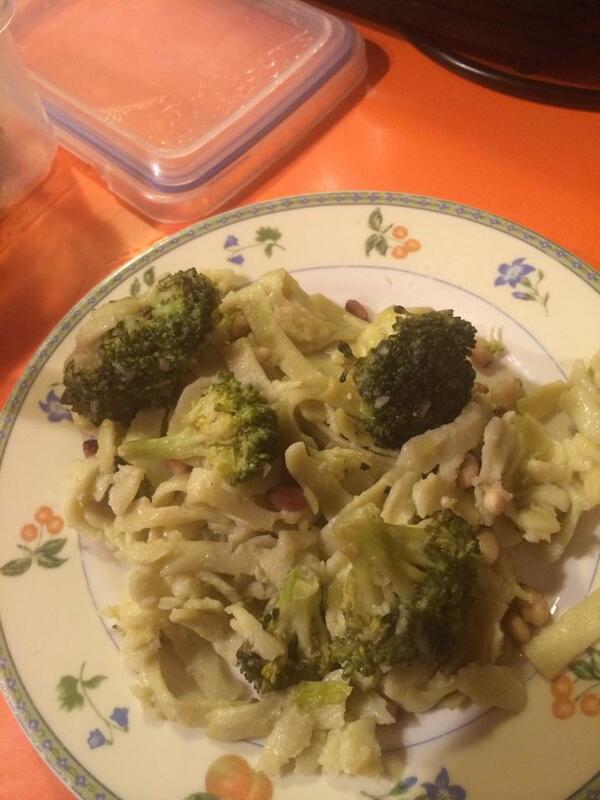 For this I used spinach fettuccine, organic broccoli and garlic, pine nuts, organic extra virgin olive oil and flaxseed oil and store-bought (damn) spring onion. STEP 2 – After chopping your broccoli into florets, toss them into a bowl with the olive and flaxseed oil, just enough to cover (not drowning), crush some fresh garlic cloves into the mix (the more the merrier), a dash of salt and pepper and mix around until all the broccoli is coated. 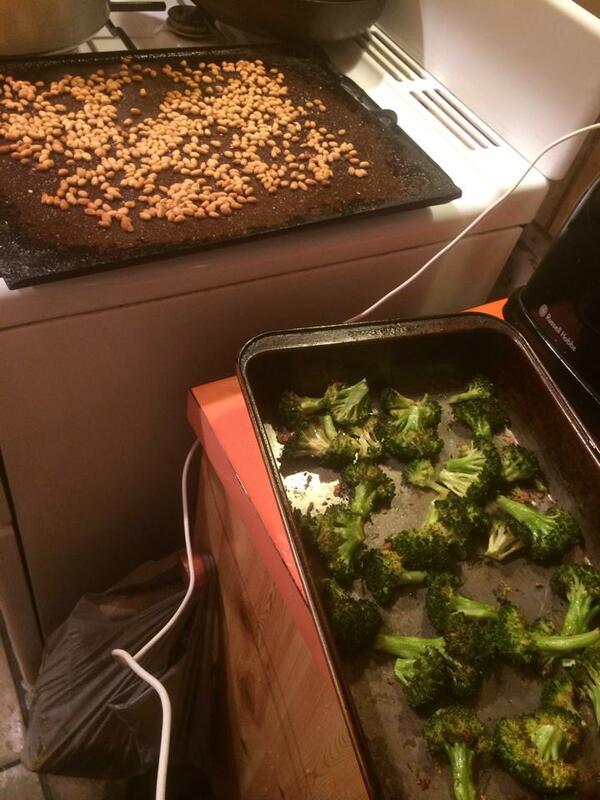 Place onto a baking tray and roast at about 220 degrees until the broccoli starts to brown and crisp (between about 20 – 30 mins). 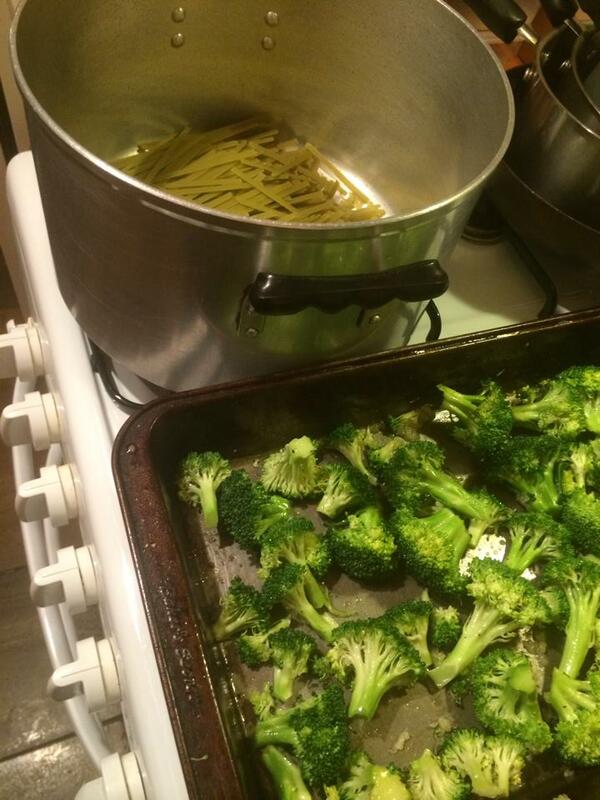 Start getting your pasta ready into a pot of cold, salted water. STEP 3 – Bring the pot of pasta to boil and then let simmer until your preferred taste is met. 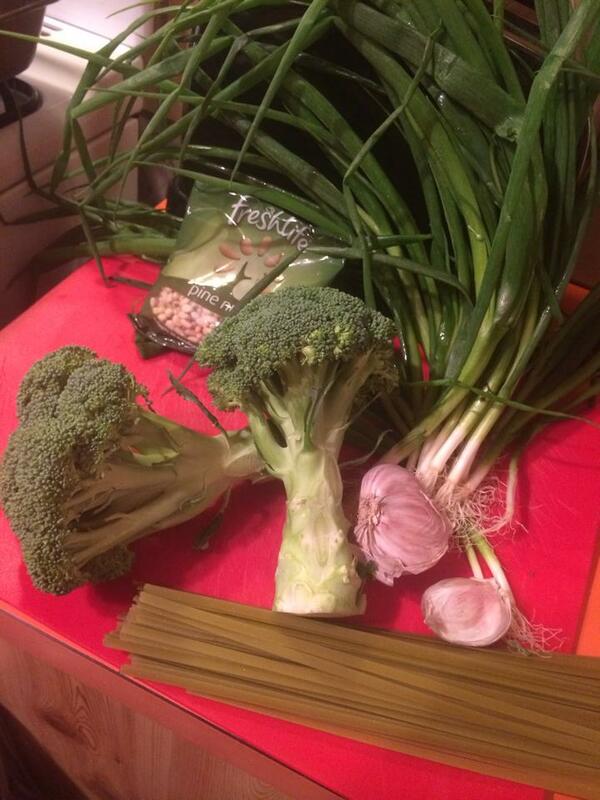 Keep checking on that broccoli. On a separate tray, spread your pine nuts out ready for roasting. 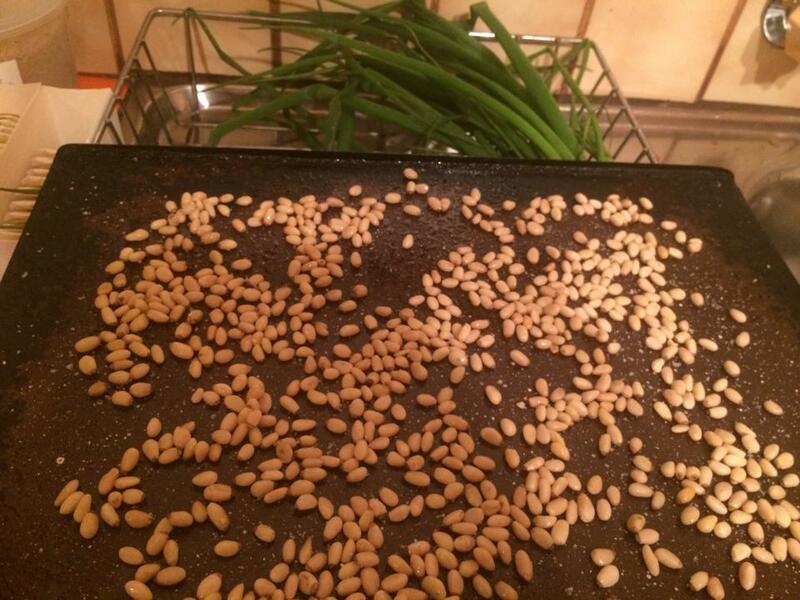 STEP 4 – The pine nuts will roast reasonably fast so keep an eye on them so they do not burn. Once the pasta and roasted items are ready, mix together whilst adding a little olive oil for a creamy texture. Add more garlic if preferred. Cut some spring onion, serve on top and you are complete. Quick, easy, delicious and nutritious. Enjoy your weekend and until next time, eat well. This entry was posted in Uncategorized and tagged broccoli, cooking, Cruelty Free, extra virgin olive oil, flaxseed oil, food, health, pasta, pine nuts, vegan, vegan comfort food, vegan cooking, vegan eats, vegan food, veganism, What Vegans Eat. Bookmark the permalink.